The Parks Department mows ball diamonds, helps with trash removal, helps with maintenance to fences, bleachers, dugouts, buildings, and any other issues that may arise. 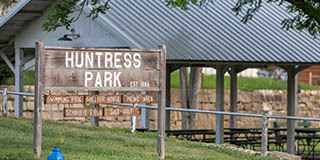 The Parks Department also assists with painting projects. The Parks Department opens bathrooms in the spring, and closes and winterizes in the late fall. Whenever time and weather permits, the Parks Department helps with any other projects. When the pool is out of season, the Parks Department cleans, washes, and paints the pool and bathhouse. The Parks Department does moderate plumbing and winterizing to keep things in operation. There may be other job duties such as construction that may occur. Once the pool is in operation, the Parks Department turns it over to the pool manager and does any maintenance when needed. The Parks Department is responsible for the mowing, weed eating, and spraying around the building and runway lights. The Parks Department may do other miscellaneous projects as needed. The Parks Department does light maintenance and other small projects per request of the City Clerk. The Parks Department is headed by Patrick Hayes, Superintendent. The employees include Todd Collins and Chris Pedersen.